Two US experts visited Tibet as part of the USA-Tibet exchange program 2018. Paul Anderson, a New York based film maker came to make video profiles of two of the Tibetan exchange program alumni. Ingrid Granlin, a graphic designer and branding expert, came to Tibet to co-teach the three-day Small Business Training with business trainer Sam Voolstra. The host of the three-day Small Business Training in Yushu was 2017 USA Exchange program alumni Wangjia. Wangja got a spinal injury in a bus accident. 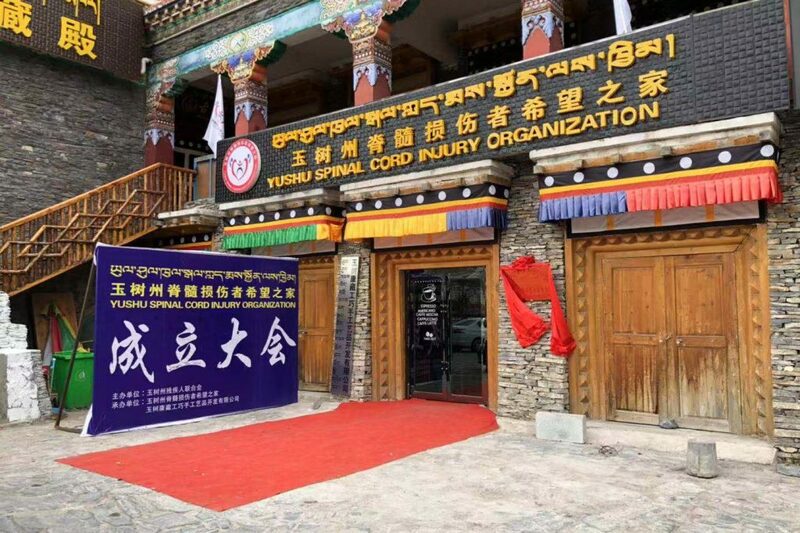 He is wheelchair dependent, and set up the Yushu Spinal Injury Organization to help others with spinal injuries to learn how to rehabilitate, make needed adjustments to their homes and be financially independent. Each year the organization organizes a one-month summer camp program for up to 30 locals in wheel chairs. Wangjia recently got support from the government in the form of a rent subsidy for two years to open up a coffee shop with handicraft workshop and outlet. He is now organizing all sorts of trainings in this space to support and inspire Tibetan young entrepreneurs, Tibetan social organizations and Tibetans with a disability. 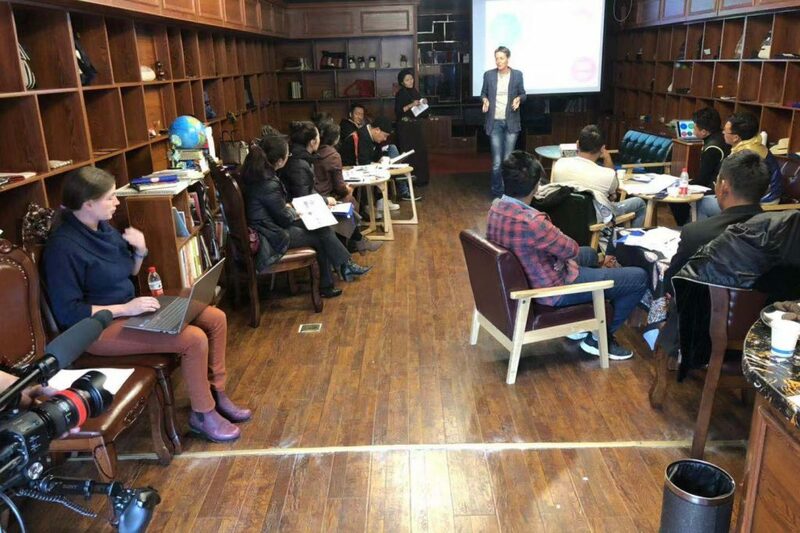 Wangjia invited business trainer Sam Voolstra and graphic designer and branding expert Ingrid Granlin to give a Small Business Training in Yushu. The training materials for the three-day training had translations in Tibetan and Chinese, and the whole training was live translated in Tibetan, with some additional Chinese live translation where needed.